FROM THE #1 NEW YORK TIMES BESTSELLING AUTHORAn angry rebel, John dropped out of school and enlisted in the Army, not knowing what else to do with his life--until he meets the girl of his dreams, Savannah. Their mutual attraction quickly grows into the kind of love that leaves Savannah waiting for John to finish his tour of duty, and John wanting to settle down with the woman who captured his heart. But 9/11 changes everything. John feels it is his duty to re-enlist. And sadly, the long separation finds Savannah falling in love with someone else. 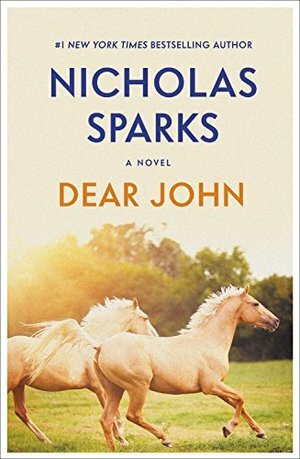 "Dear John," the letter read...and with those two words, a heart was broken and two lives were changed forever. Returning home, John must come to grips with the fact that Savannah, now married, is still his true love--and face the hardest decision of his life.